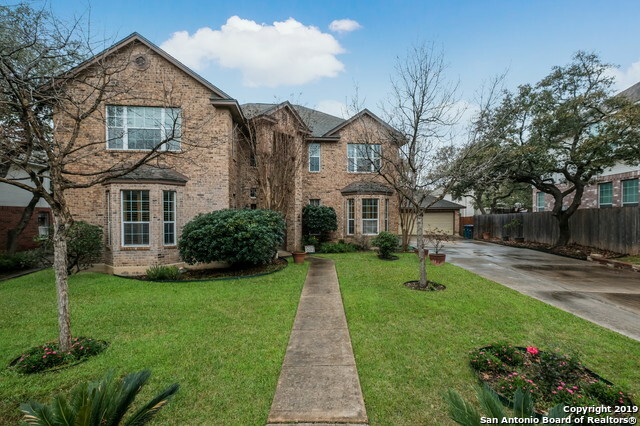 All SHAVANO RIDGE homes currently listed for sale in San Antonio as of 04/24/2019 are shown below. You can change the search criteria at any time by pressing the 'Change Search' button below. "Gorgeous and immaculate home located in the prestigious SHAVANO RIDGE. Open floor plan. Formal living and dining room, DUAL MASTER BEDROOMS! Downstairs Master B/R ensuite w/decorative tile, walk in shower and Chromatherapy Tub. Super-sized media room w/additional game area and XXL wood deck makes this home perfect for entertaining. Additionally, there is a huge study/office, plantation shutters, fireplace, island kitchen, over-sized garage. A MUST SEE!" "Beautifully maintained home in desirable Shavano Ridge with easy access to USAA, UTSA, & Medical Center. Backyard provides perfect balance of maintainability and space. An over-sized deck and pergola are great for entertaining. Freshly painted interior with an open floor plan full of natural light. Kitchen features stainless steel appliances and ample storage. Spacious master suite with dual vanities, garden tub, and walk-in closet. New roof installation will begin on March 27, water heater repl"